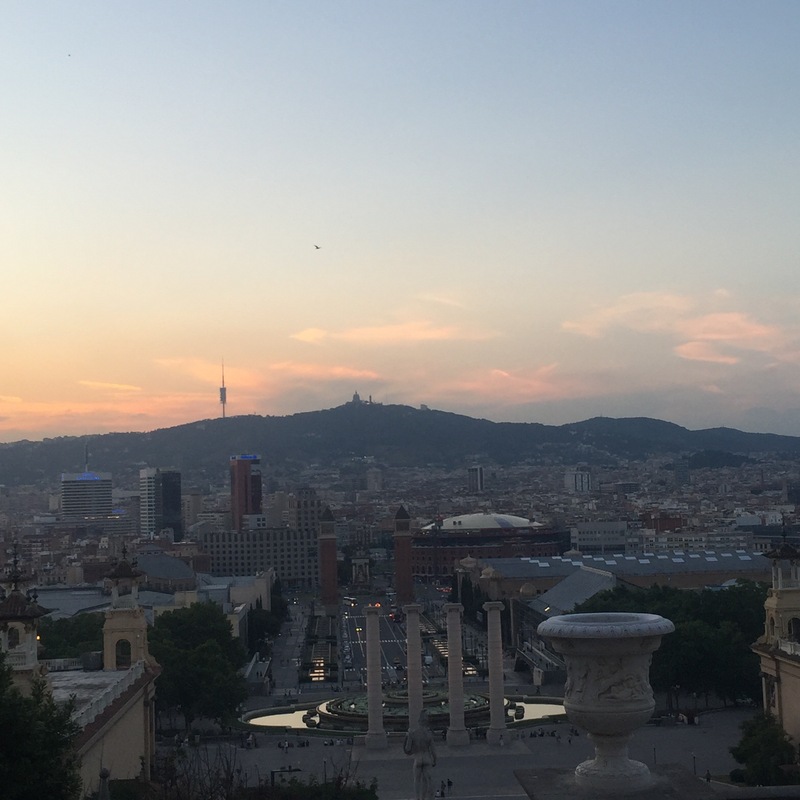 I was recently lucky enough to spend four nights in beautiful, bustling Barcelona. It really is such a vibrant city. It’s absolutely teaming with life and colour. I felt like I only scratched the surface during my time there – I could have happily stayed for weeks. Every side street held a new treasure, and so much beautiful architecture it was honestly impossible to take everything in. 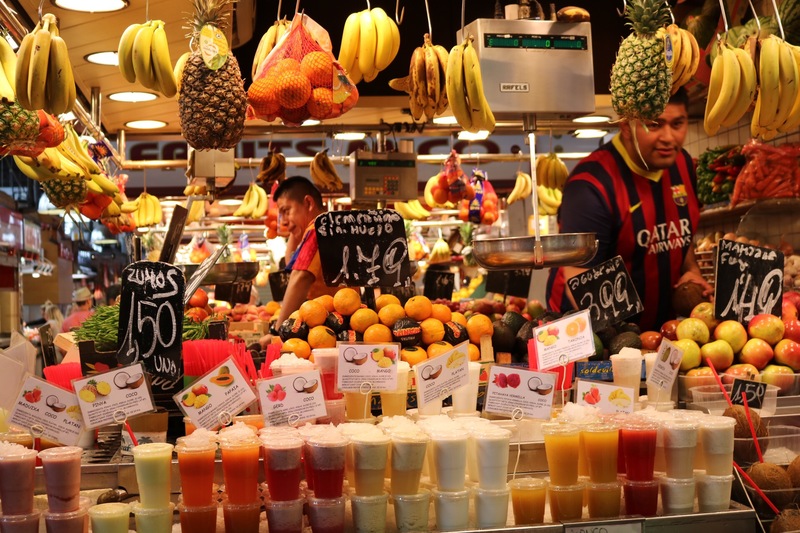 From street artists, to markets, to cafés, bars and shops, the city truly is a feast for the eyes. 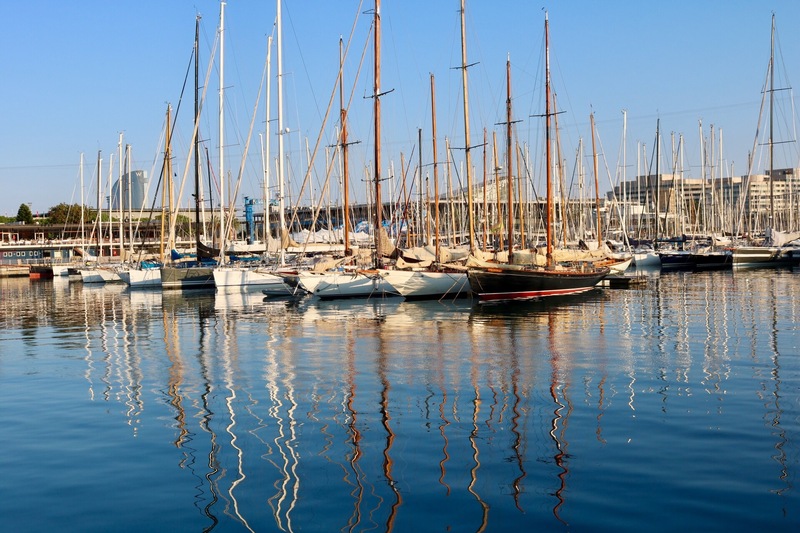 I want to emphasise right from the get-go that should you ever get the chance to visit Barcelona, you should vamos and take it faster than you can say Sangria. 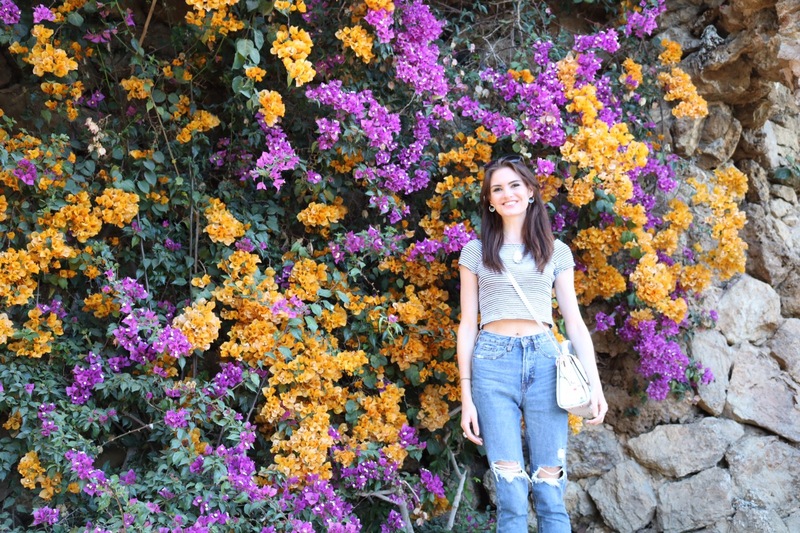 It turns out that what was, in highschool, a seemingly passable grasp of the Spanish language in real life amounted to me just about remembering ‘hola,’ ‘adios,’ ‘gracias’ and ‘muy bien.’ As you can imagine, I hardly wowed the locals with my fluency. Surprisingly, the GCSE Spanish module on what our school uniform consisted of did not prove useful. I did remember the phrase ‘Dos cervezas, por favor,’ (although I’m not certain I picked it up at my very Catholic secondary school…) which certainly came in extremely handy. 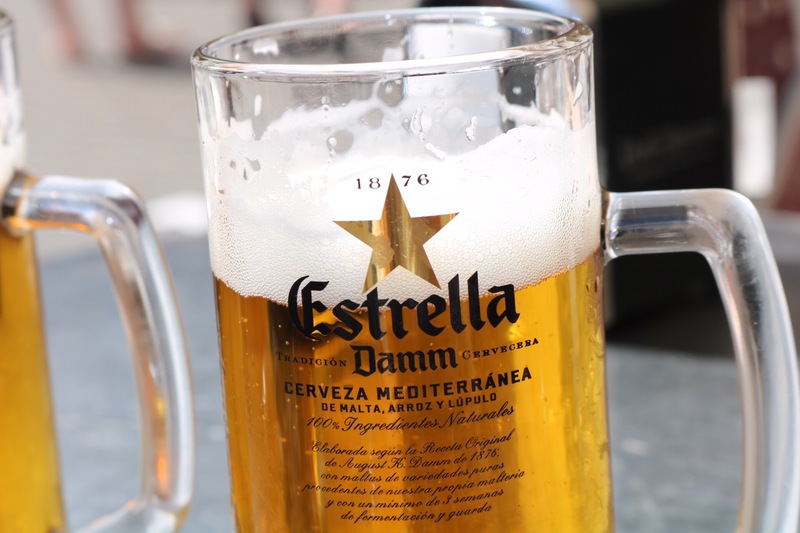 Incidentally, Estrella tastes even better when you’re drinking it in Spain. I think as a tourist with a limited time schedule it can be so tempting to just rush around like a headless chicken, determined to ‘tick off’ sights on a to-do list, as it were. What was great about this trip was that with a ticket valid for ten journeys it was easy to zip about pretty speedily on the Underground. I feel like we packed a lot in to our short stay, but I never felt overly rushed. 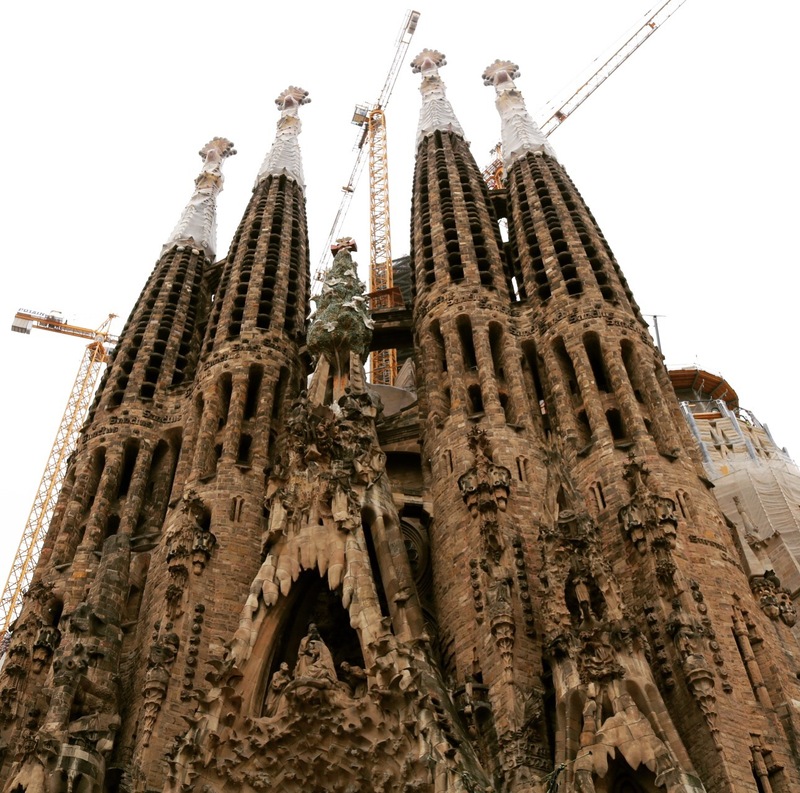 Over three days we visited Casa Battlo, strolled down La Rambla, wandered the Gothic Quarter, soaked up the sun in beautiful Park Güell, ate breakfast outside the art gallery at Montjuic and were awed by the epic (and still, unbelievably, a work-in-progress – it’s due to be completed in 2026), La Sagrada Familia. 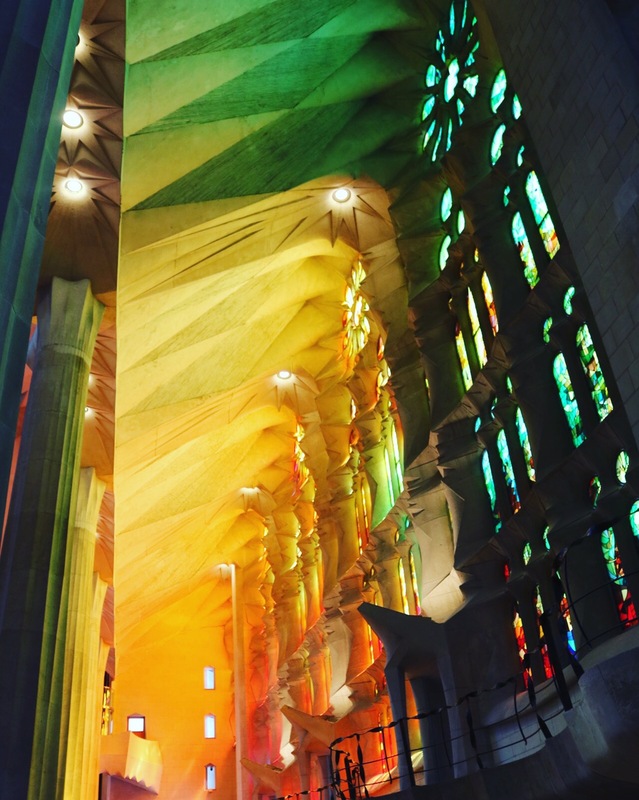 I adored all of these places, but La Sagrada is simply unmissable. I cried. 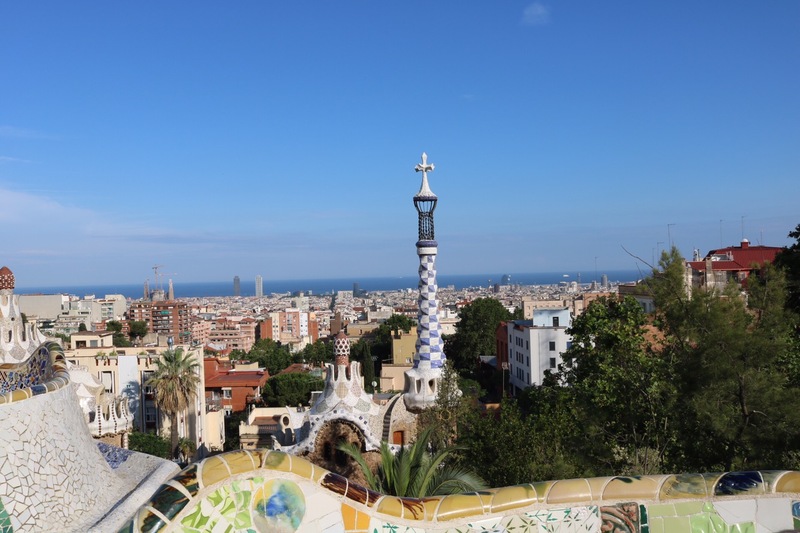 Incidentally, if you’re planning a trip to the Catalonia capital it’s well worth booking tickets for both La Sagrada and Park Güell before you go – we had to return much later than we had originally intended as there were no tickets available when we first arrived. But go you must (young Jedi). At the risk of sounding incredibly cliche, the only way I can think to describe the glow cast by the stained glass windows is just a vision of pure magic. The entire basilica looks as though it’s been modelled straight from the pages a fairytale. I felt like I was in a dream. I’m a little iffy on heights, but if I visited again I’d pay the extra money and brave the winding staircase tower – there’s so much detail and intricacy to the entire cathedral I you see something new every time you glance in a different direction. 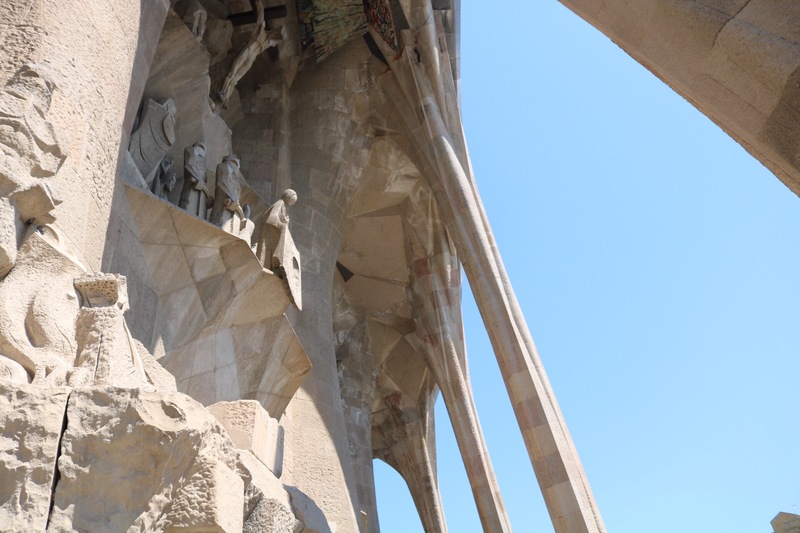 Gaudi apparently explained that he wasn’t too fussed that he would never see his Magnum Opus completed, and enjoyed reminding friends that his most important client in the sky wasn’t in any particular rush. 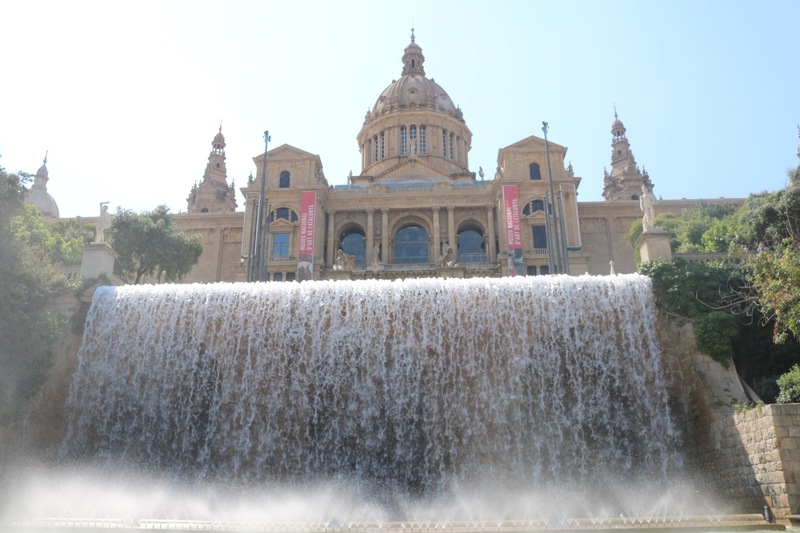 Like Gaudi, I’d say it’s best to take a slow pace in Barcelona. 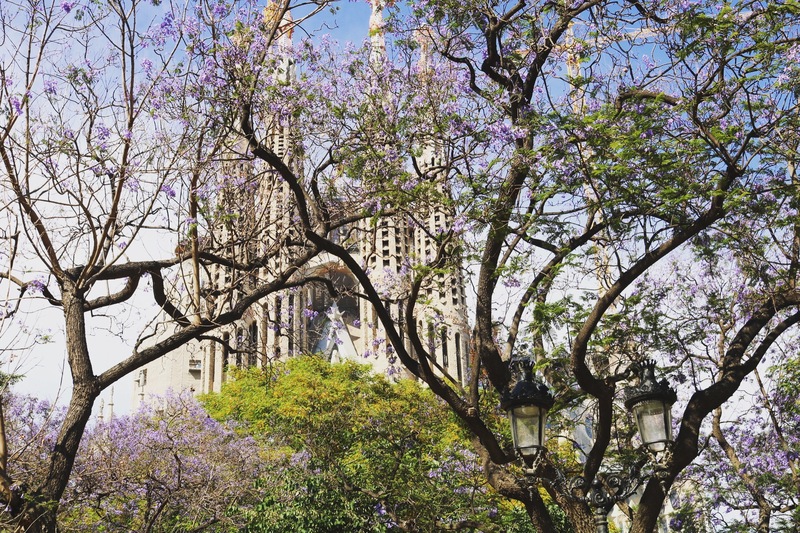 Leisurely soak up the ethereal beauty of the Sagrada and stop to smell the blossom in Park Güell. 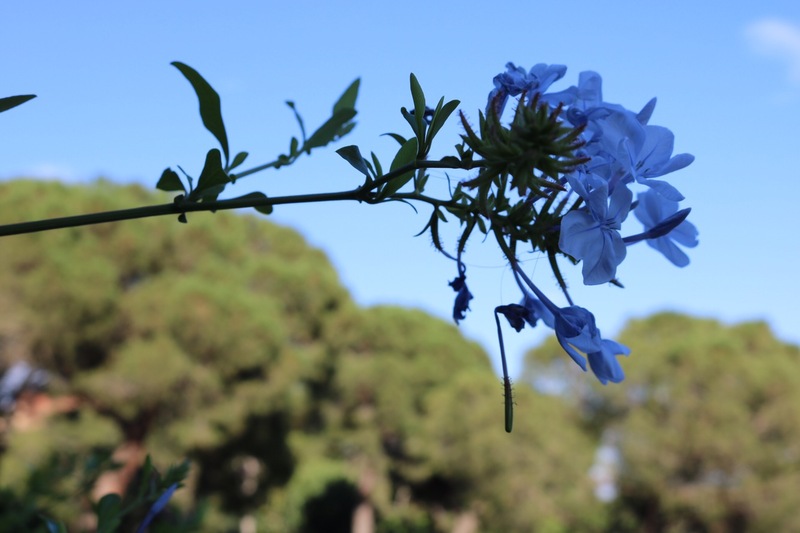 They’re stunningly beautiful experiences that are worth savouring. I will never forget them. My dad begged me to get a snap of Camp Nou, which I cared about infinitely less. For those as illiterate in and as oblivious to football as me, Nou is the holy ground of FC Barcelona. I passed it only fleetingly from the confines of a rapidly moving bus, but was determined to get the snap for him. I got the picture, but unfortunately I don’t think it was quite what he was hoping for. 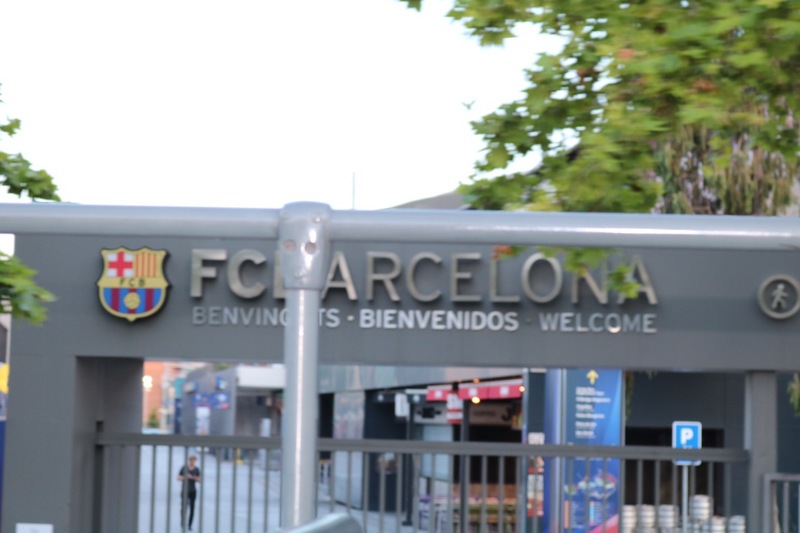 I managed to capture the shiny silver ‘FC Barcelona’ sign, but unfortunately the ‘B’ is obscured by an unfortunately (or brilliantly?) placed lamppost. Upon closer inspection of the photo, I realised the sign proudly declares the site as the home stadium of ‘FC Arcelona.’ Excellent. I’m considering selling the photo to rivals Real Madrid, who could presumably use it as inspiration for some suitably pithy football chants. 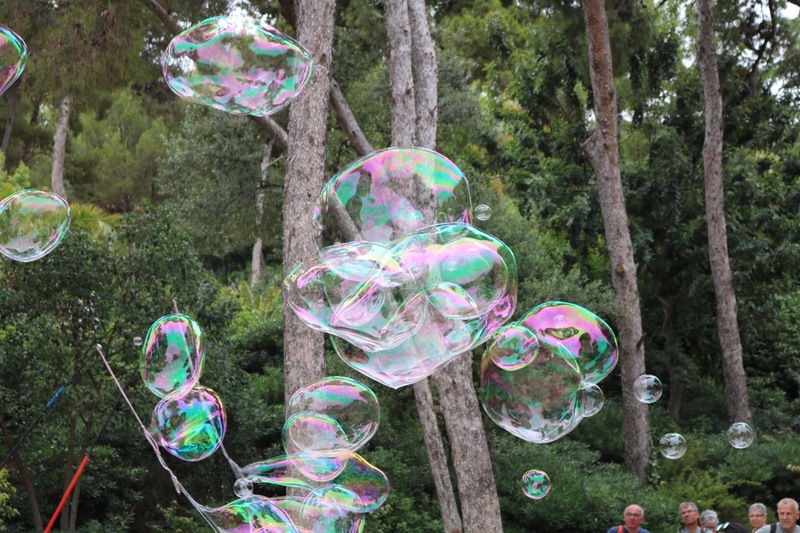 I did manage to take a couple of pictures that I was more pleased with, however. In all honesty, everything was so beautiful it would’ve been hard to take a bad picture. 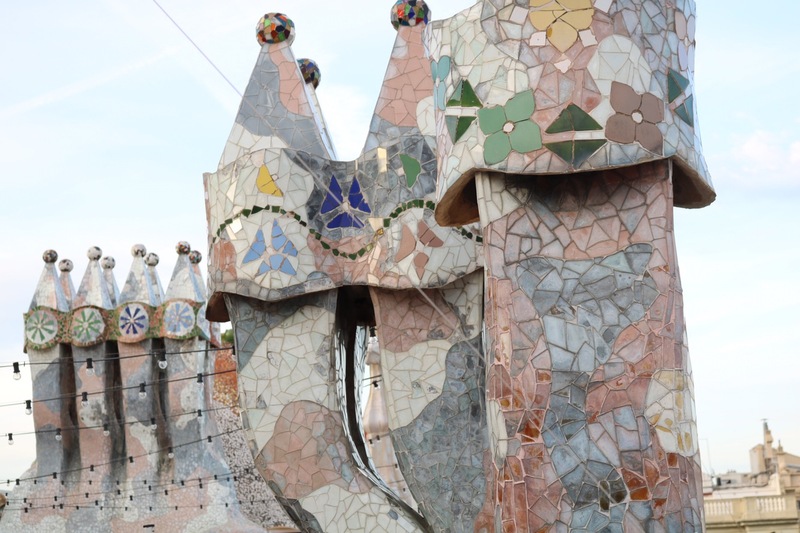 The city is filled with Gaudi’s stunning architecture. His designs are so intricate and delicate yet at the same time not oppressively stuffy in the way that some ornate European cathedrals seem to me. He seemed to favour mosaic and primary colours over heavy gold. Everything he touched seems to have resulted in an explosion of a rainbow of blues and yellows and green. Even La Sagrada Familia wasn’t in any way gothic, and still invoked the underwater scenes I learnt that Gaudi was so fascinated by. Its curved lines and spiralling pillars made it look sort of similar to what I imagine King Tritan’s Palace would look like in a live-action remake of The Little Mermaid, but presumably with more crucifixes. 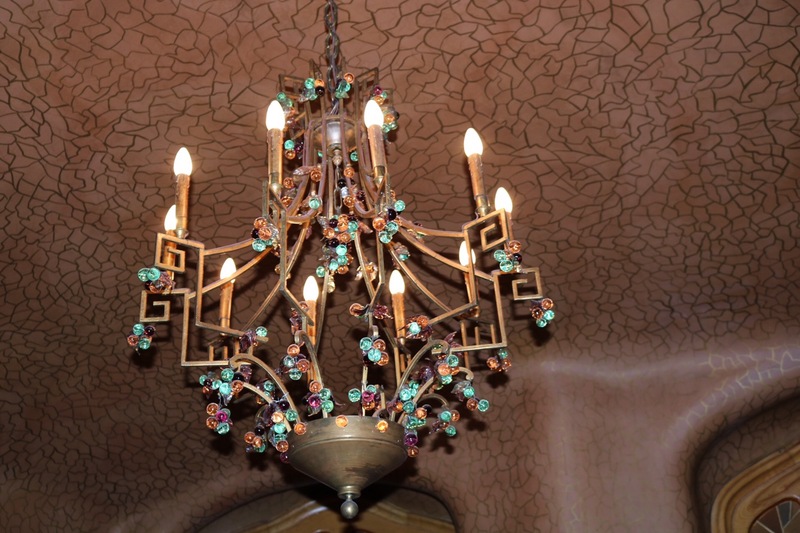 I did a bizarre kind of interactive tour in Casa Battlo, a kind of stately home designed by Gaudi, in which Pokemon Go-esque figures appeared on a phone screen in front of you as you moved from room to room. All in all, it was a cool idea but I found it kind of distracting. The house is 32 metres of glistening mosaic, and the interior was so beautiful it seemed a shame not to just look up and soak in what was in front of you rather than staring at a screen. 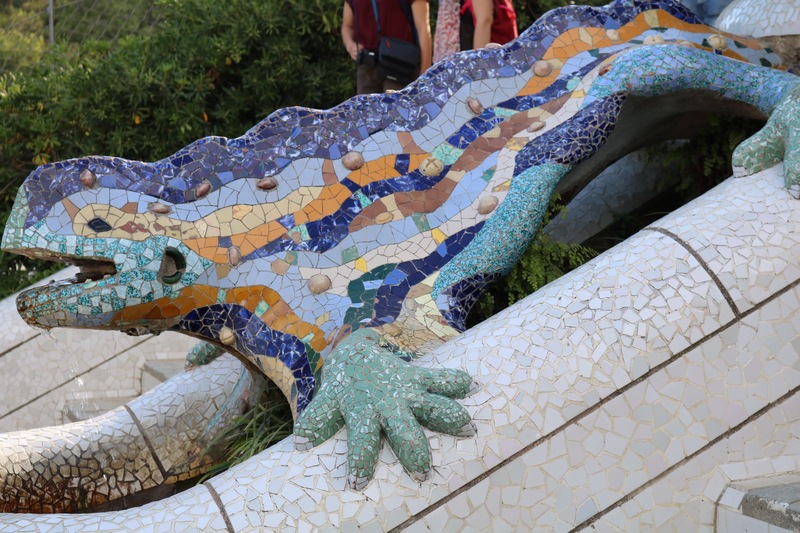 The audio segment of the tour was really interesting though, and explained that Gaudi was fascinated by the look of objects underwater, as well as being inspired by nature. This explanation into his aesthetic gave a really good context to his work. 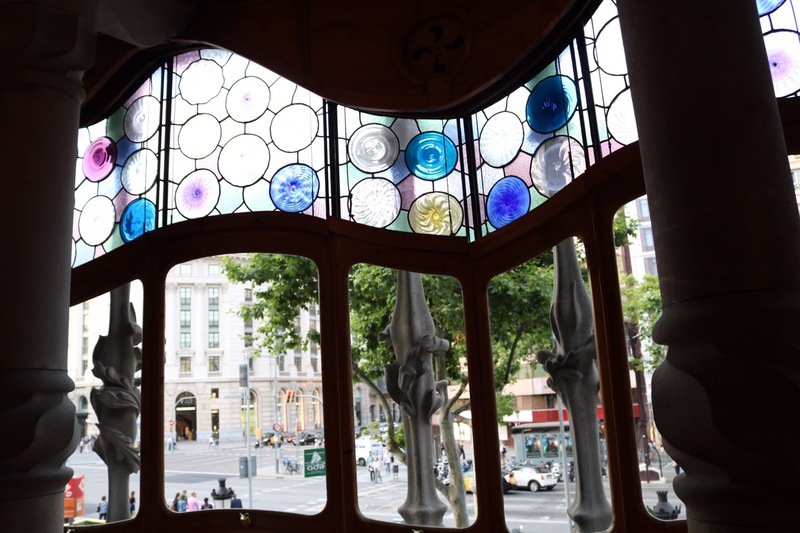 It was a happy accident that I visited Casa Battlo and did the tour on my first afternoon in the city, but I’d recommend doing that before you do much else (but after you get an Estrella!). 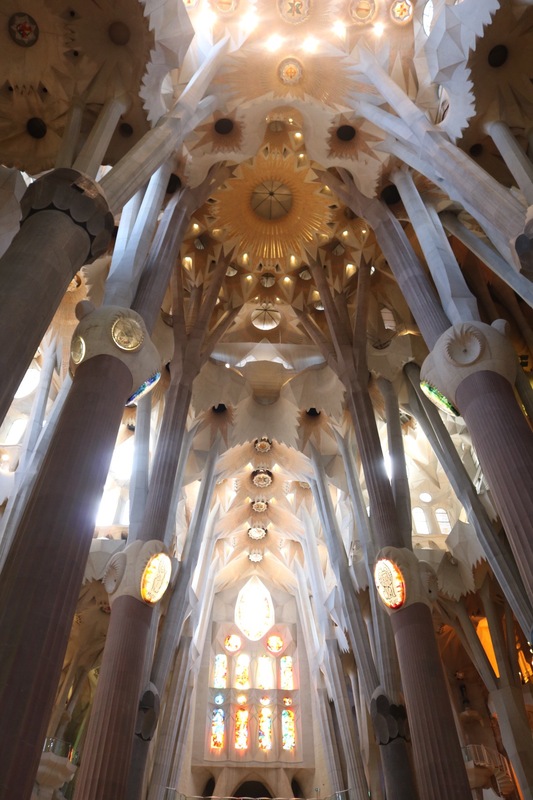 As Gaudi’s architecture peppers the city – as well as Casa Battlo, La Sagrada, Park Guell, Casa Mila are among the most heavily visited spots in Barcelona – it was brilliant to see elements of his work that he drew upon time and time again to create such visually arresting aesthetics. I also noticed that he really liked Salamanders. Another high point was watching the Magic Fountain. I wasn’t entirely certain that I’d get to see it – we rocked up and waited an hour and a half for the display to begin only to discover that we’d gotten the wrong day and that if we were waiting for the rousing chorus of ‘Barcelona’ to start up and the lights to come on, it’d be a hell of a long evening. Sitting at the top of Mont Juic with it’s panoramic views of the city and watching the sun go down, however, I certainly felt there were worst places to be. There were also lots of lovely vendors more than willing to provide Cerveza, Coke, Agua, or Selfie Sticks, which kept us pretty well catered for the duration of our wait. When we arrived the next day, the display was actually on. It was markedly busier than the night before, and the atmosphere was infectious, the crowd a sea of smiling faces and laughter. 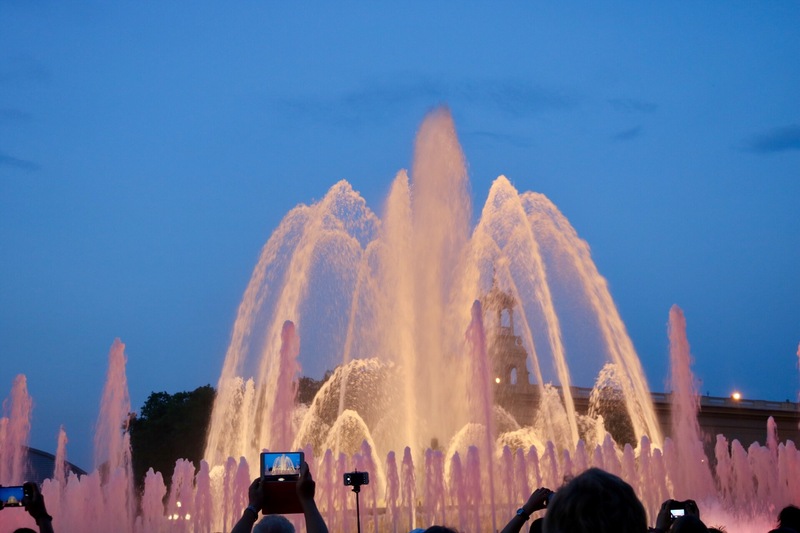 A particularly touching moment came when the fountain cast a blue and yellow light and Oasis’ anthem ‘Don’t Look Back In Anger’ sounded triumphantly in what was presumably a tribute to the tragic events in Manchester. A beautiful sentiment for a beautiful night. 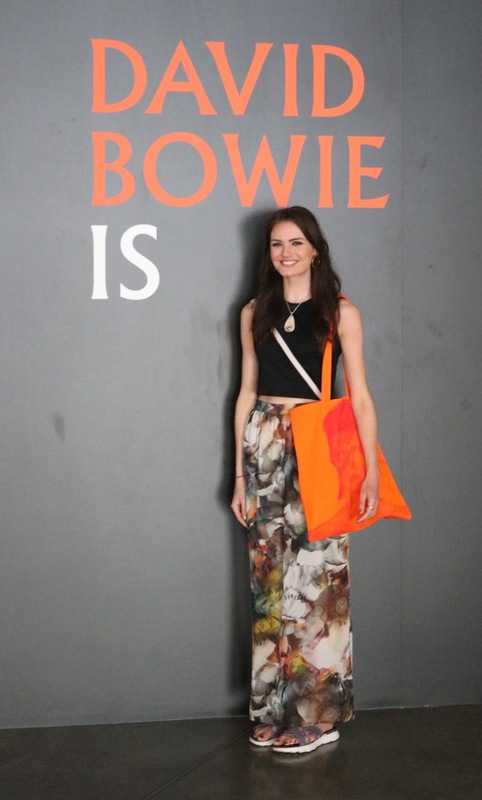 A coincidence that felt closer to fate was seeing an advertisement for the V&A ‘David Bowie Is’ exhibition. I am a self-confessed Bowie super-fan. 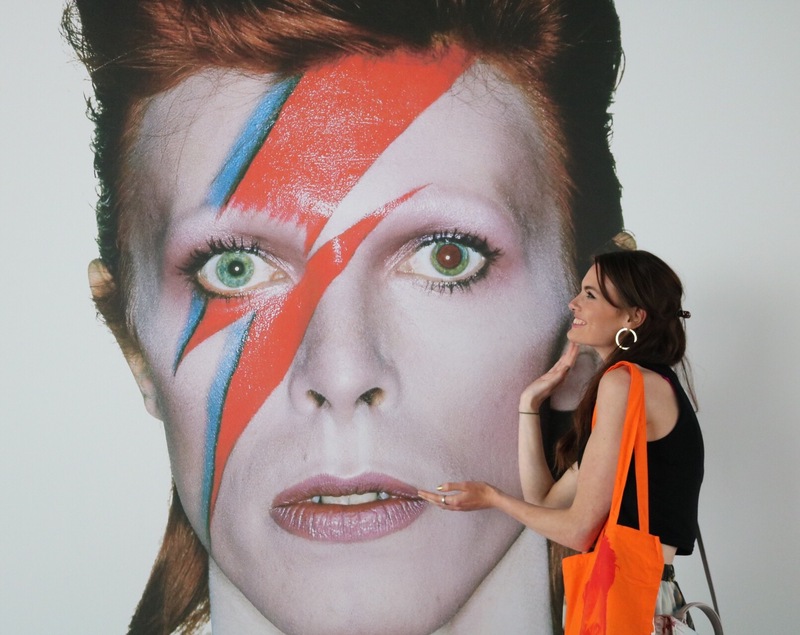 David Bowie Is a lot of things to me, and I’d read reviews of the exhibit when it was being showcased in London a little wistfully, assuming I’d never get the chance to go. When we saw it advertised, we happily forked out a more than fair fifteen quid and booked tickets for the last day of our trip. 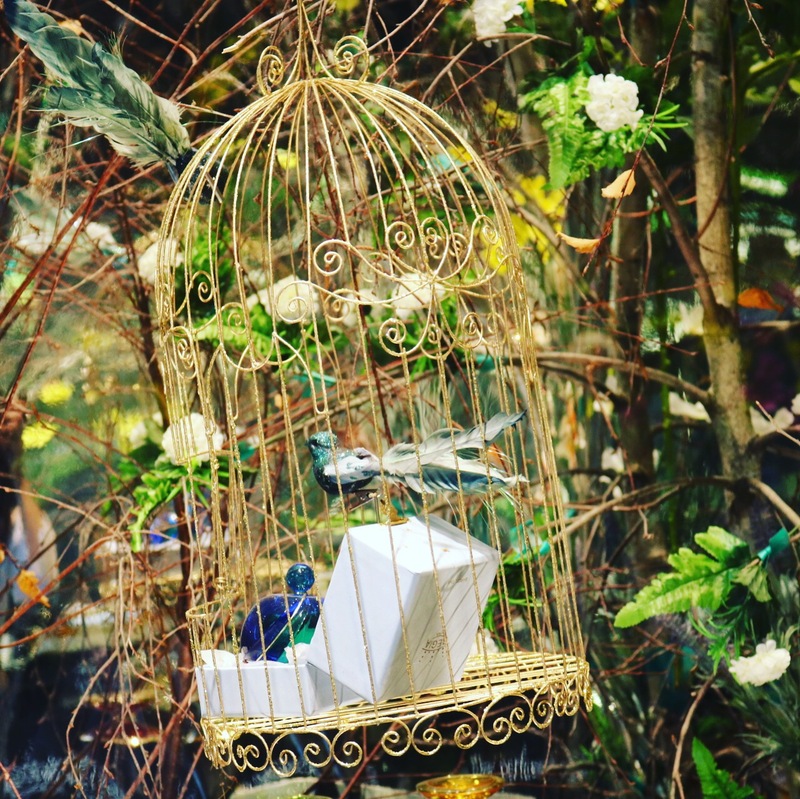 The exhibition was incredible. I saw hand-written lyrics, diary entries, dazzling outfits (a personal favourite being the ‘Ashes to Ashes’ Pierrot clown suit). Indeed, I got huge outfit envy – a jumpsuit worn on the Ziggy Stardust tour was particularly beautiful. Sigh. That man had style. Watching an early 70s, orange spiky haired David singing ‘I had to phone someone so I picked on you’ was jarringly emotional for me. At the end of the exhibit, we were reminded ‘David Bowie Is All Around Us.’ An alien angel music man that pioneered the children’s right to boogie, flamboyantly and fabulously demonstrated the fluidity of gender and sexuality, and emphasised the vital need for self-expression, I found this thought infinitely comforting. David Bowie has been, for me, a shooting star in what has sometimes looked like a dark sky. I listened to Rock ‘N’ Roll Suicide blaring alongside a gigantic screen of a montage of his live performances, and felt tears come into my eyes. Hearing Bowie emphatically remind us ‘oh no love, you’re not alone…’ in a room packed with other devotees was a pretty special experience. 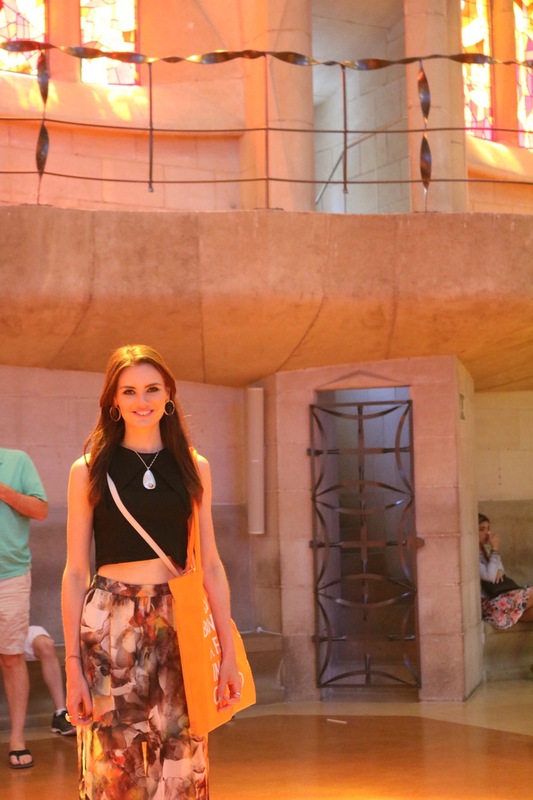 It made my Barcelona experience even more memorable and special to me than it would have been otherwise. 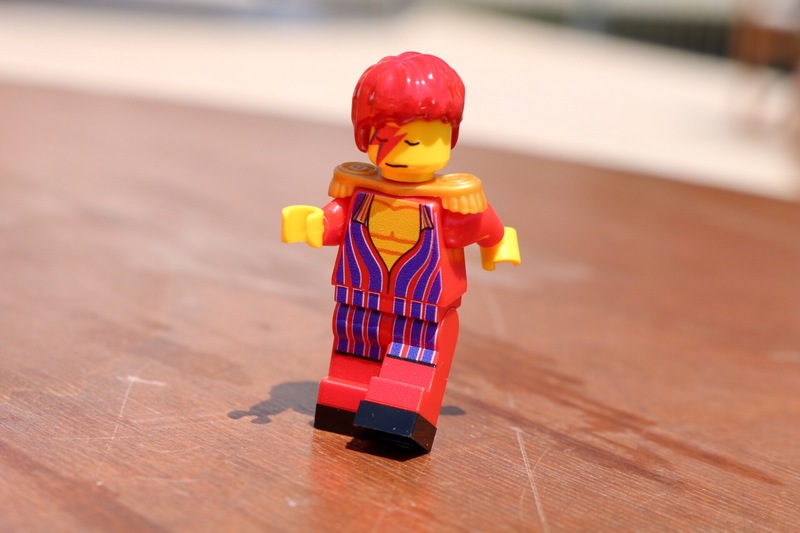 It also made my trip a lot more expensive – I bought a miniature LEGO Ziggy in the gift shop for equivalent of about £20. An essential purchase. All in all, I don’t have a bad word to say about this stunning city. I feel so blessed to have been able to visit it. My only complaint is that I could’ve done with another week, at least. 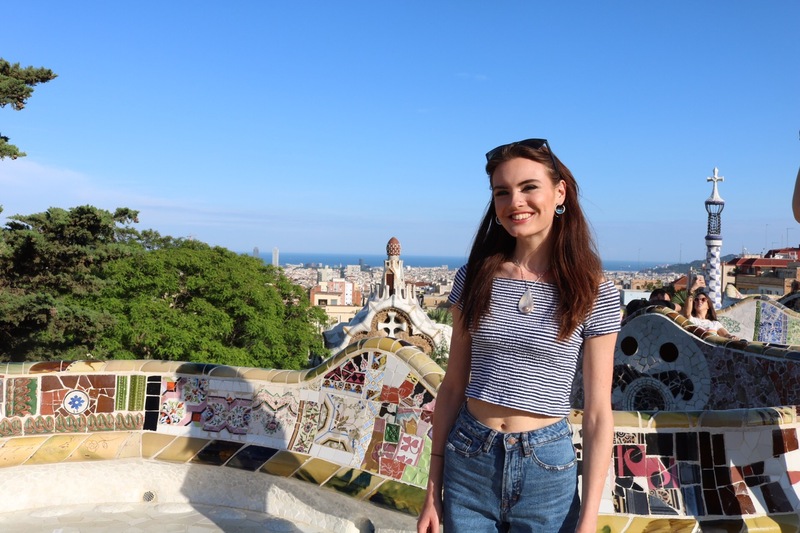 I laughed, I cried, I sang, I listened to Ed Sheeran’s ‘Barcelona’ in a sun soaked Park Guell, I people watched in the Gothic Quarter over a jug of Sangria. I ate fresh seafood and drank too much wine. 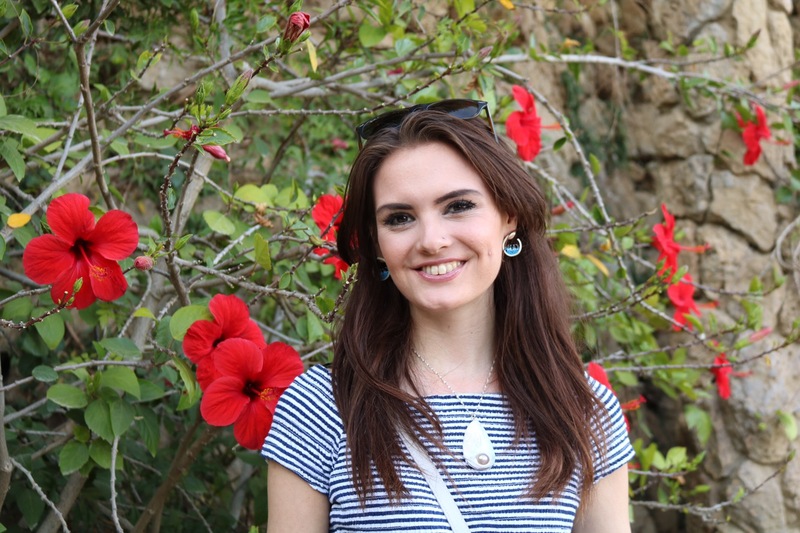 I didn’t go far off the beaten track – everything I did was a pretty standard tourist activity. It didn’t matter. It was extraordinary to me. I saw things I’d never seen and I was happy. That is the reason, I think, that we travel. We visit different places to experience the new. Hopefully, we gain joy from this widening of our horizons. The further we go, the wider we travel, the smaller the world seems. There are so many beautiful places to see, to give yourself over to. 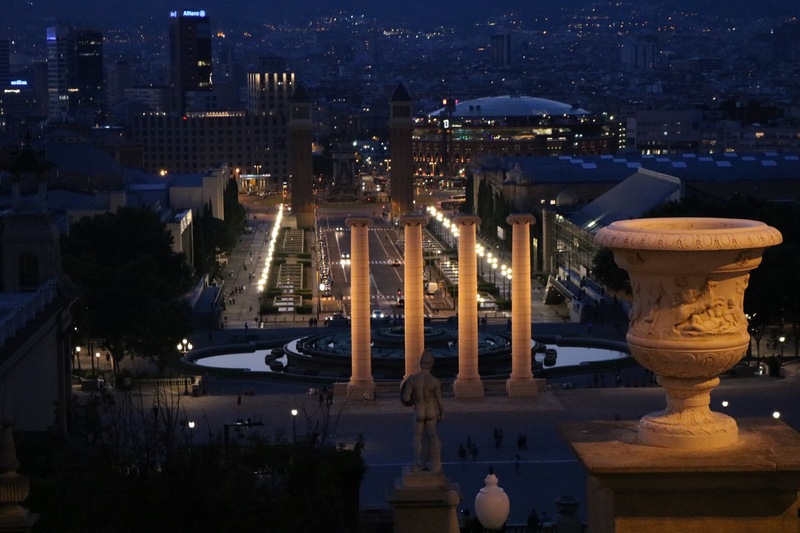 Barcelona is one of them, and it will always have a little piece of my heart.